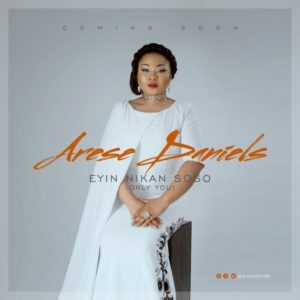 Dynamic singer and songwriter Arese Daniels releases new single ‘Eyin Nikan Soso’ off forthcoming album Let it Rain. With a blend of Jazz and African contemporary sound, Arese delivers yet another masterpiece in this latest single as a followup to her 2014 single Let it Rain. I wrote Eyin Nikan Soso over a span of three years, I was going through some phases at the time, battles within and out, and at the same time I was experiencing effortless victories, hence the testimonial tone of the song, the song became a summary of all I went through at that season of my life, thus describing the all powerfulness of God, the one who hears when we cry, His power to deliver and to save and most of all, His Mercy which never fails. – Arese Daniels.